GCC countries are making the move to build on international best practice and leverage opportunities to transform into digital government models. Deloitte's report focuses on UAE, Saudi Arabia Qatar and Kuwait and how these GCC nations are emphasizing the role of digital in order to accelerate economic diversification, promote sustainability and enhance citizen satisfaction levels by implementing innovative technologies. Deloitte identified three main drivers of digital transformation in the public sector in the GCC: cost and budget pressures, customer/citizen demands and federal government directives. The biggest driver of digital transformation was cost and budget pressures at 38 percent, followed by customer/citizen demands at 37 percent, and then federal government directives at 14 percent. The digital maturity of other agencies also played a role at 14 percent. Another recent report by McKinsey says technology innovation is expected to boost productivity and increase effectiveness for the GGC's construction market beyond mega-projects. New research from McKinsey Global Institute found that the global construction industry is ripe for disruption. A report by research firm Preqin shows that Middle East and North Africa has US$ 42 billion worth of infrastructure deals completed. Construction growth is important for the region considering that by 2020, 60 percent of the global population will be living in an urban area. New innovative transport modes will need to be deployed in the GCC, such as autonomous vehicles and drones flying over cities. Dubai has embraced this challenge, staging a test flight in September for what it is said would be the world's first drone taxi service under an ambitious plan by the UAE. Dubai's flying taxi was developed by German drone firm Volocopter, and resembles a small, two-seater helicopter cabin topped by a wide hoop with 18 propellers. The drone can fly for duration of 30 minutes, and comes with a range of safety features such as backup batteries and parachutes. Implementation would see you using your smartphone, having an app and ordering the drone to pick you up, CEO Florian Reuter said. Governments in the GCC are transforming from states of reactivity to proactivity in a variety of aspects, according to Deloitte, ranging from policy decisions to emergency responses. Two billion people without financial services will gradually enter the banking system, Deloitte predicts, and education will become "more inclusive" pushing for no child to be left behind in a world where illiteracy costs the global economy US$ 1.2 trillion per year. The digitalization of content such as medical records, education curriculums and more is allowing for better operational efficiencies across organizations, the report says. The successful outcomes of these programs will be driven by the "rapid adoption and well-planned execution" of digital programs. These programs will be supported by technologies such as artificial intelligence (AI), robotics, cloud, Internet of Things (IoT) and virtual reality (VR). In October, the UAE launched its Artificial Intelligence strategy aimed at boosting government performance and the rate of accomplishing achievements. 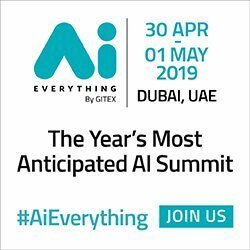 The strategy, launched by His Highness Sheikh Mohammed bin Rashid Al Maktoum, Vice President and Prime Minister of the UAE and Ruler of Dubai, will create a productive environment by investing in advanced technologies and AI tools that will be implemented in all fields. "The journey of our glorious union has always been a continuous occasion to confirm the proactive spirit of making the future," said Director-General of the Telecommunications Regulatory Authority (TRA), H.E. Hamad Obaid Al Mansoori. "Today, in the midst of the world's major transformations in the fields of Information and Communication Technology (ICT), our wise leadership foresees a new horizon to place us at the global forefront towards artificial intelligence and the Fourth Industrial Revolution." Al Mansoori said the UAE government is aware of the "exceptional importance of data as the new oil of the upcoming era." Data, he said, is the "raw material for the formation and analysis of patterns, which lead to the activation of artificial intelligence and achievement of unprecedented leaps of productivity and efficiency on economic, cognitive and scientific levels." The role of digital will have a profound effect on the public sector in the GCC. The Deloitte report says digital technologies represent an unprecedented opportunity for the public sector to reinvent itself, especially considering the convergence of four prominent technologies: social applications, mobile technologies, big data analytics and cloud infrastructure. These technologies represent a combined global market of approximately US$ 1.2 trillion in 2017, according to the report. Governments are now using cloud-based environments to enable new public-private partnerships for the provision of public services, the report adds. Many government services are already being made available through mobile, enhancing service delivery experience. In the UAE, the TRA recently signed an MoU with Smart Dubai, aiming to develop a unified digital identity for citizens and residents. The project aims to develop and integrate the 'SmartPass' service of the UAE federal government, with the 'Dubai ID' service, into a single system that allows users to easily and seamlessly access federal and local government services, by logging in once, from anywhere, and processing transactions digitally. It supports Smart Dubai strategies of 'paperless government' and 'blockchain'. These trends will increase in the future, Deloitte predicts, as governments will be able to allocate funds in more efficient ways. For example, using IoT to collect and aggregate data through connected devices with sensors can collate mass amounts of information and predict the occurrence of events. Predictive modeling will "become more prevalent" the report says, and data will "be processed into valuable information to increase the accuracy of public sector decisions." Smart services based on remote devices, such as a unified digital ID, will enable governments to enhance personal safety, as well as sustainability, health, wellness and sanitation. Digital transformation also serves as a way for governments to reduce their budget pressure while enhancing customer experience. An advantage that emerging countries have over developed nations is the absence of legacy technological infrastructure, so there is hope for all nations to embrace the digital trend. There is also the benefit of 5G to consider for the GCC - expected to launch commercially in 2020. The incredible demand for broadband capacity has been growing exponentially since the inception of the smartphone. Sturdy 3G connectivity was quickly superseded by 4G as digitalization revolutionized the world. But 4G is now quivering at the inevitable arrival of the Internet of Things. Speaking at the GSMA Mobile 360 Middle East conference held during GITEX 2017, Chinese telecom equipment manufacturer and smartphone maker Huawei shared its vision of 5G as the enabler of adequate mobile broadband services and the fabric for the Internet of Things. The technology will be a key driver for digital transformation, and will be able to transmit information more than 100 times faster than currently possible with 4G. According to Huawei, the Middle East and Africa will be fast to feel the positive affect of 5G, given the region's open approach to digital transformation. Popular research areas include autonomous cars - an investment area high on the agenda for Dubai, for example. Both Google and Tesla have released autonomous cars, which employ sensors and radars to operate. But the key question still lies in the area of safety. The low latency and ultra-reliability of 5G networks can help in this area. A prime example of key collaborations in this space is Huawei's partnerships with car manufacturers like Audi and BMW, and chipset providers like Qualcomm, which are enabling research and development for the future of autonomous driving. Furthermore, the taste for augmented and virtual reality (AR/VR) will get stronger as time moves on, according to Huawei, as the conversation around user experience and mobility gains traction. The market is set to grow to $110 billion, and 5G is well equipped to deal with these demands. 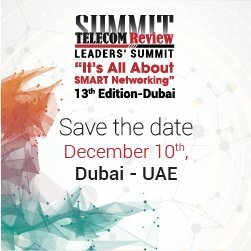 "As things like video traffic increase, immersive consumer experiences become more popular, and applications migrate to the cloud, network air interface performance must be improved, and network architecture itself must be cloud native to ensure high speed and reliability of data transmission," said Daisy Chu, the 5G CMO, Huawei. Although the technology remains in the standardization phase, major mobile providers are already testing 5G in certain locations. The GCC is a prime location for its development. UAE telecom operator Etisalat said it will start testing 5G in 2018 and launch the technology commercially in 2019.